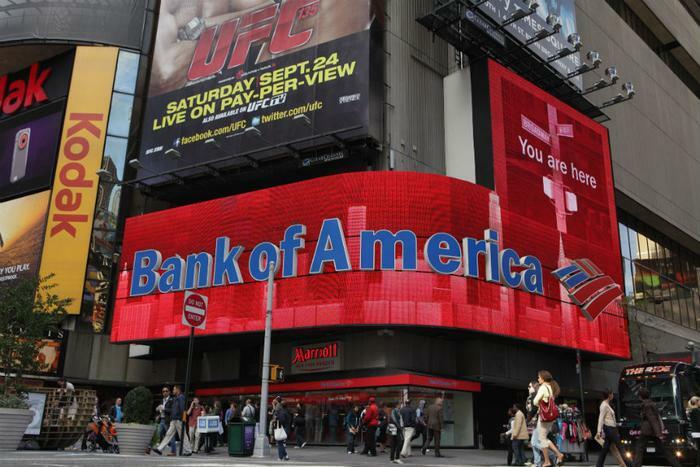 Bank of America is the latest major bank to pull back from clients who produce military style rifles for civilians, such as the AR-15. The revelation came Tuesday as a Bloomberg television crew interviewed the bank's vice chairman, Anne Finucane. "For us, we have just a handful of (gun) manufacturers," Finucane said. "They know what our intentions are, we have had intense conversations over the last few months, and it's our intention not to finance these military style firearms for civilian use." Currently, Bank of America has client relationships with Vista Outdoors, Remington, and Strum Rugar. Finucane's announcement follows a similar decision by Citigroup. Withdrawing credit from gunmakers that produce so-called assault-style rifles will likely affect many firearms manufacturers because the semi-automatic AR-15 is one of the most popular rifles in America, with just about every gun manufacturer producing a version of it. The AR-15 has been the major focus in the gun debate because it has been the weapon of choice for most mass killers, mainly because it quickly fires a large number of rounds and is easily reloaded. The firearm is popular with consumers for the same reason. The National Rifle Association (NRA) says the AR-15 is widely used for home defense, calling it easy to learn, easy to use, accurate, and reliable. The organization says rifles of any kind are seldom used to commit crimes. Both Citigroup and Bank of America have responded in the wake of the most recent mass shooting, when 17 people were killed earlier this year at a Florida High School by a killer wielding an AR-15, a civilian version of the M-16 rifle used by the U.S. military. BlackRock, the largest asset manager on Wall Street, has served notice that it plans to use its financial clout to influence gun manufacturers. BlackRock currently owns 16 percent of Strum Ruger and 10.5 percent of American Outdoor Brands, according to CNBC. In January, BlackRock founder Larry Fink wrote an open letter to CEOs at major corporations, telling them they have to be socially responsible. "Indeed, the public expectations of your company has never been greater,” he wrote.